Profil Bar | Officina In s.r.l. 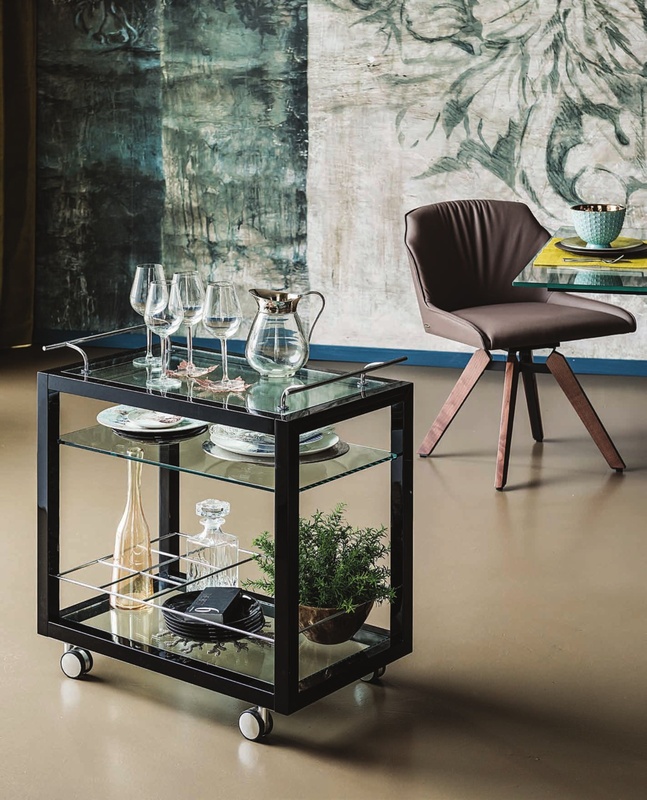 Trolley bar with polished black or white lacquered frame and chromed steel details. Clear glass shelves. The upper shelf can be used as a tray. Max capacity: total 30 kg.